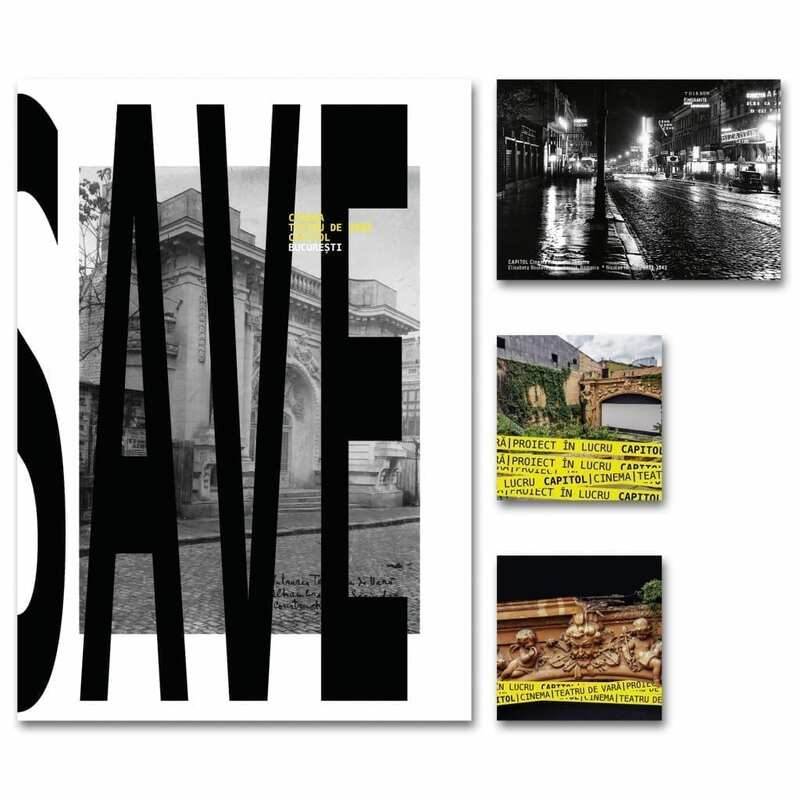 Produced by Save or Cancel, CAPITOL booklet #03 was launched and distributed in November 2018, as a print publication and e-book. The publication presents information about the ensemble of monuments, a summary of the historical studies, and a recap of the activities and events which, for the last 9 years, aim to reactivate collective memory and to reintegrate CAPITOL in the public circuit. CAPITOL booklet #01 is one of the participating publications in the Bucharest Architecture Annual 2017, Research and Visions through Architecture – Architecture Books. 1x booklet A4, 38 pages, Antalis Claro bulk FSC® certified, ECF (elemental chlorine free) matt coated 90 g/m2 paper with a 130 g/m2 laminated cover. Photography: Save or Cancel, feeder.ro, Cristian Vasile, VJ VLC, Ștefan Tuchilă, Dincolo de fațade, Future Shorts, Alex Iacob “Reptilianul”, Ciprian Rășoiu, Nicolae Nenciulescu archive, Willy Pragher.